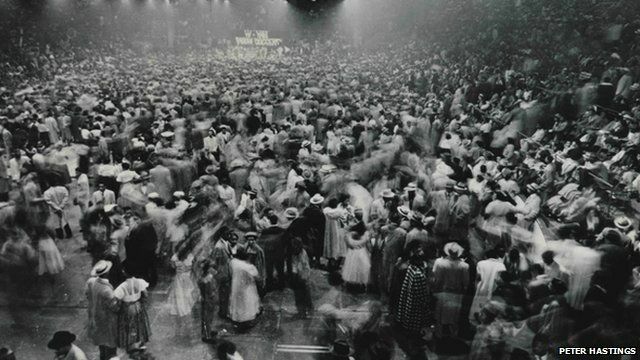 On 21 March 1952, thousands of music fans stormed the Cleveland Arena to witness the world's first rock'n'roll concert. The sold-out venue was overcome by crowds who pushed their way in, leading to a riot, a stabbing and the beginning of a new era. The Moondog Coronation Ball not only ushered in the next wave of music history, but also portended the social tumult to come as the baby boomers came of age. Jimmy Sutpin, a witness to the concert, which was cut short due to the ensuing chaos, talks to the BBC about what happened that night. Terry Stewart, president of the Rock and Roll hall of fame museum, explains the role of the concert in the history of rock'n'roll. Produced for the BBC by Matt Danzico.